Earlier this week the world celebrated Social Media Day, an annual event organized by Mashable. From Kenya to Sri Lanka, Italy to the US, countries the world over used the day as an opportunity to reflect on how social networks have transformed how we live our lives. Needless to say, #socialmediaday2015 took Twitter by storm. Here are five of our favorite tweets. If anybody had cause to celebrate on Tuesday, it was Mashable. 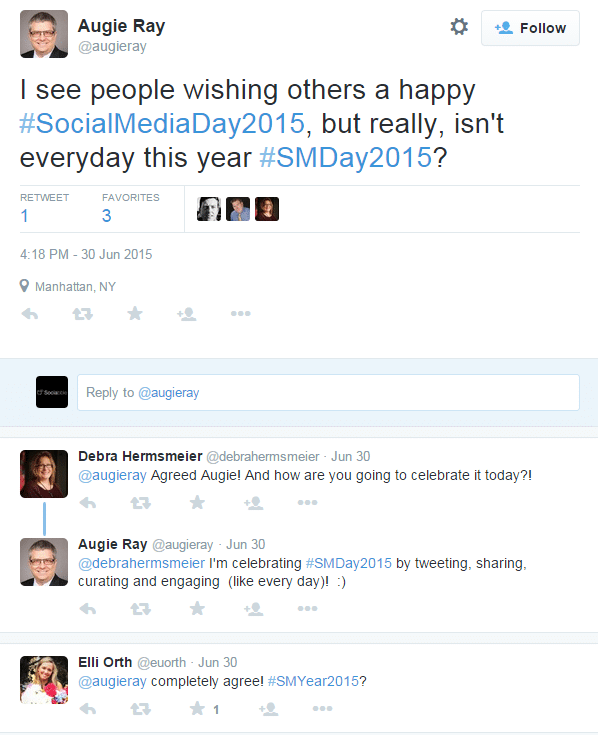 Now in its sixth year, the company’s annual Social Media Day is going from strength to strength. 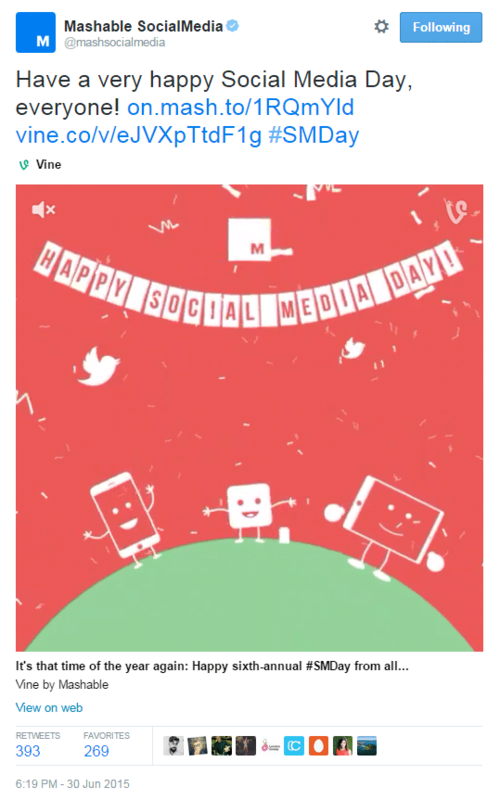 @mashsocialmedia marked the 2015 edition with this quirky little Vine. Ah yes, it wouldn’t be a real celebration without cake would it? 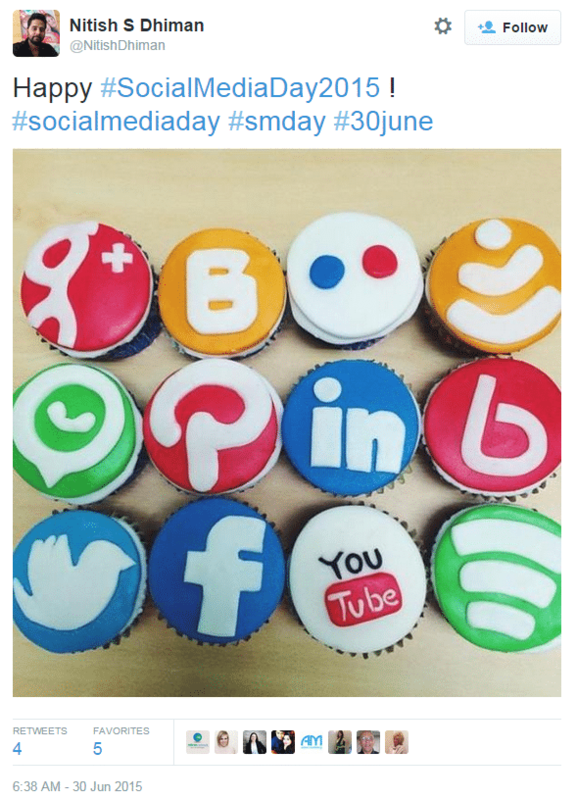 Hats off to @NitishDhiman (assuming he baked them) for these tasty looking social network cupcakes. You probably use it on a daily basis, but there are still things you may not know about social media. 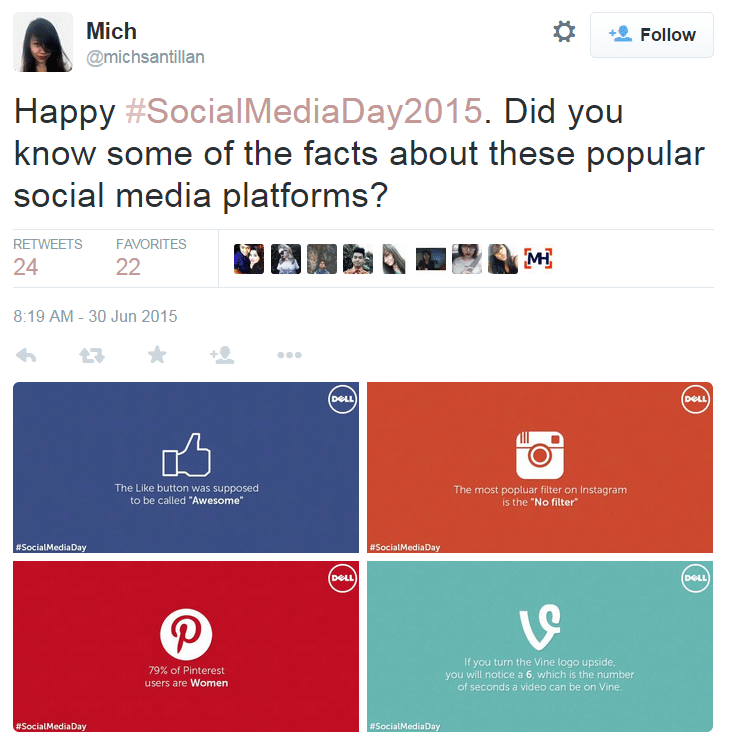 Take these four facts, for example, shared by @michsantillan on Social Media Day. 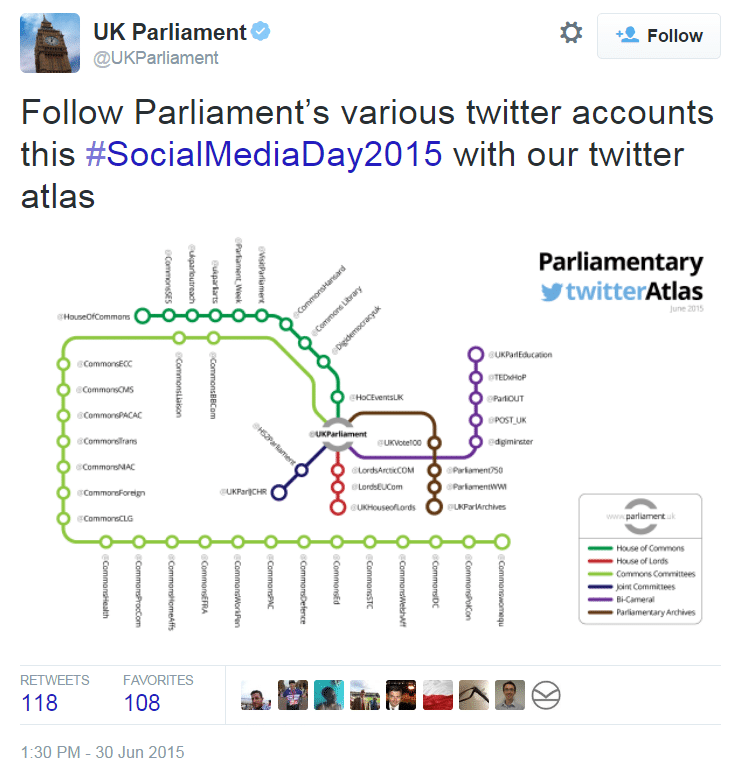 This week we published an article about how elected officials are embracing social media, which is why we like this – an image posted by @UKParliament and designed to raise awareness not about the layout of the London tube network, but the many Twitter accounts audiences can follow and engage with. This seems like a good note to end on – @augieray rightly pointing out that the rise of social media is such that it is an integral part of our lives all year round, not just on specific days. The replies to the tweet really emphasize this.